Many of our customers have reported immense joy in sharing the shows they remember as kid with their children and grandchildren. 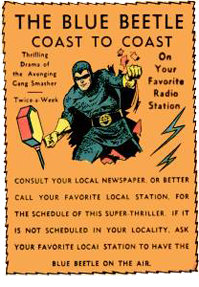 We want to encourage you to share the merriment and wonder of old time radio shows with the children of today. Anne Airlines - One of the few aviation serials to have a female lead, Ann Burton, an Air Hostess for Interstate Airways and her pilot boyfriend Jack Bake. Gerald Mohr plays the copilot, Art Morrison, who is also a Secret Service Agent. Blue Beetle - Dan Garrett joins the police after his father is gunned down by a mobster, but becomes frustrated with delays and paperwork, so assumes the secret identity of the Blue Beetle. He has a bulletproof costume and Vitamin X-2 which gives him super strength. Buck Rogers - Buck has been trapped in a mine and exposed to radioactive gas. He thinks he was asleep for a few hours but really he wakes up in the year 2419AD! Buck catches on to the marvelous inventions and ways of the future, and has many adventures. Captain Midnight - Captain Midnight was an Ace in WWI. He recruits his Secret Squadron to work for the government and foil bad guys. Children Collection - OTRCAT.com's original Children's compilation with classic fairy tales, episodes of Columbia Broadcast, and other special treats. Falstaffs Fables - Allen Reed from Fred Allen’s Alley and Allen Reed Jr telling great fables and selling candy bars with lots of humor. Fire Fighters - Stories of American Firefighters. There is usually a fire related mystery to be solved, and there is also lessons about fire safety and fire fighting equipment. 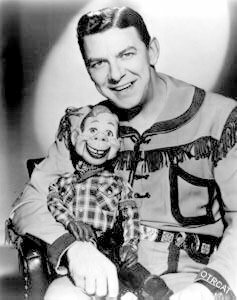 Howdy Doody Time - From the popular TV show, Howdy Doody Time had Western and Circus themes. Jack Armstrong - The All-American Boy Jack and his young friends have adventures around the world, often flying with the Fairfield's Uncle in the Silver Albatross. Land of the Lost - is a children's deep-sea adventure program about two children who travel "in that wonderful kingdom at the bottom of the sea." Lead by Red Lantern, the "wisest fish in the sea", Billy and Isabel discover lost objects on the ocean floor. Lassie - From rescuing Timmy from a well to untying kidnapped victims, Lassie does it all. Little Orphan Annie - Through hard work and a good attitude, Annie has adventures and makes the most of what life offers her. Planet Man - Dantro fights evil on behalf of the League of Planets. He is assisted by the Earth people after he saves their rocket from crashing. Smilin Jack - Aviator Smilin' Jack has adventures and fights crime from his airplane. Sonny & Buddy - Sonny and buddy are normal American kids, sometimes they get lost, sometimes they get in trouble, but they always have adventures. 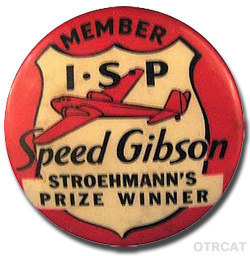 Speed Gibson - Speed is a "Typical American Boy" interested in shortwave radio, aviation, and the International Secret Police. 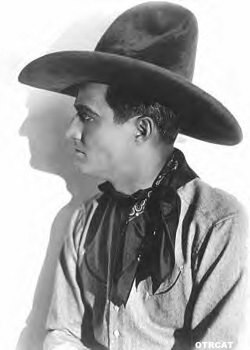 Tom Mix - Highly fictionalized adventures of cowboy Tom Mix, an original Silent Movie Cowboy. Wormwood Forest - Animal Friends and Songs in the Wormwood Forest. The rhyming and fun take place in and around Dippy Dwarf's "Dwarf Waldorf Hotel." Be the first to comment on "Childrens Show Bundle Pack"